Anthony Marlowe, Edelman UK's deputy MD of public affairs, is crossing town to become MD of the same practice at Weber Shandwick. The position is a new role for Weber in London. 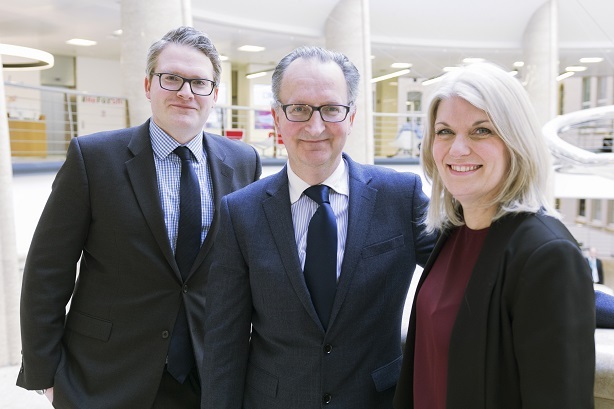 Marlowe will work with two other recent additions to Weber's 20-strong team – head of public affairs Joey Jones and associate director Kate Shouesmith, respectively a former Sky broadcaster and David Cameron spad. While Jones reports to corporate, financial and public affairs chair Jon McLeod, Marlowe will report to UK CEO Rachel Friend, who is profiled in the new print edition of PRWeek. PRWeek understands that Jones will remain more client-focused, while Marlowe's role is orientated towards business development and integration with other areas of the business. McLeod said: "Anthony will provide real firepower and energy across our national and global public affairs practice, and brings with him a swathe of complementary skills and industry insights that will help us further grow the political specialism for which Weber Shandwick is rightly known." Marlowe has advised clients including Scotch Whisky Association, Samsung, Gatwick Airport, News Corp and Sainsbury’s. He has also written CSR reports for various companies and been seconded as acting head of government affairs at Diageo GB. His former boss Will Walden said: "Anthony's been a great support as my deputy in the last year [Walden joined in January 2017], helping me and the team add the likes of Coke, F1 and Sirius to our portfolio. But I know he's itching to lead his own team. I'm delighted he's been offered that chance and I wish him every possible success." Edelman is not directly replacing Marlowe, but has made three more junior hires in recent weeks to Walden's 18-strong team, following the arrival of former Number 10 adviser Craig Woodhouse in September.